Trump Administration Rescinds Obama-Era Guidance Encouraging Affirmative Action The departments of Justice and Education have retracted letters and memos suggesting ways schools and colleges can consider race to encourage diversity. 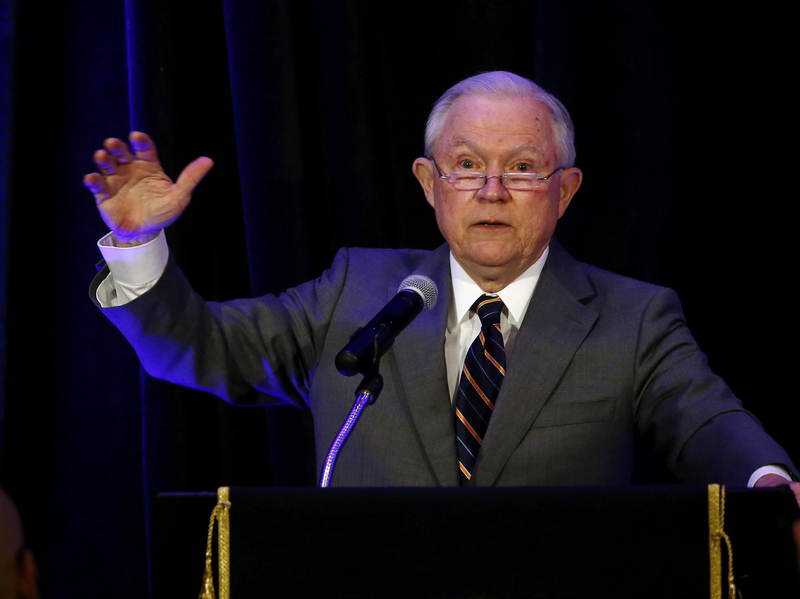 Attorney General Jeff Sessions speaks at the Association of State Criminal Investigative Agencies event in May. On Tuesday, the departments of Justice and Education announced that they have retracted documents that advised schools on how they could legally consider race in admissions and other decisions.